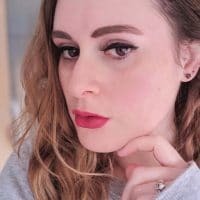 I’m not going to lie, we’re a massive fan of gadgets in our house, if it makes our lives easier, we’re in! From lighting we can control from our phones (thanks IKEA) to using our Google Home to play music, get up to date with the latest news and commute times to work. 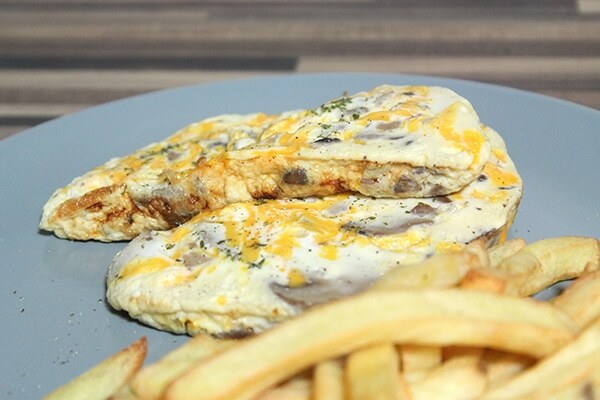 This recipe makes one omelette and fills the omelette maker perfectly. You could also add slightly less mushrooms and add more of something else if you wanted to, like sweetcorn, tomatoes or pre-cooked meat; for example, chorizo or bacon 😀 You could even add onions, although I’d imagine you’d need to pre-cook them first as I don’t think the omelette maker would cook them enough. The omelette maker was thankfully really, really easy to use. I lightly greased the plates with vegetable oil (although you can use low-cal sprays on it too) and turned it on (with the lid closed). A red light came on to say it was heating up, and once it got to temperature, the light went off. I didn’t have to do anything else to it at all until it was ready to come out. 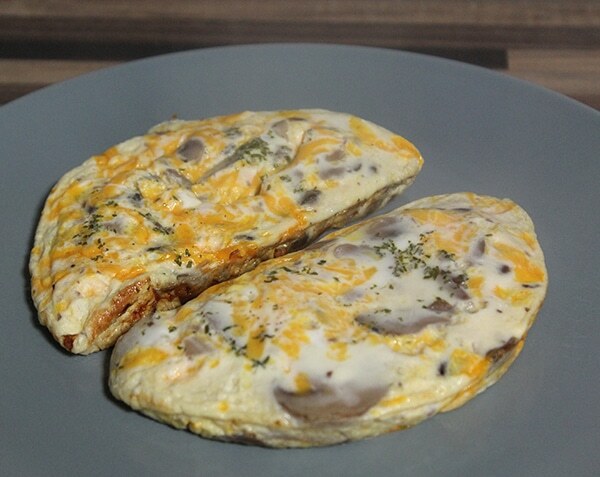 Depending on how runny you like it, it takes between 6 and 10 minutes to cook the omelette. 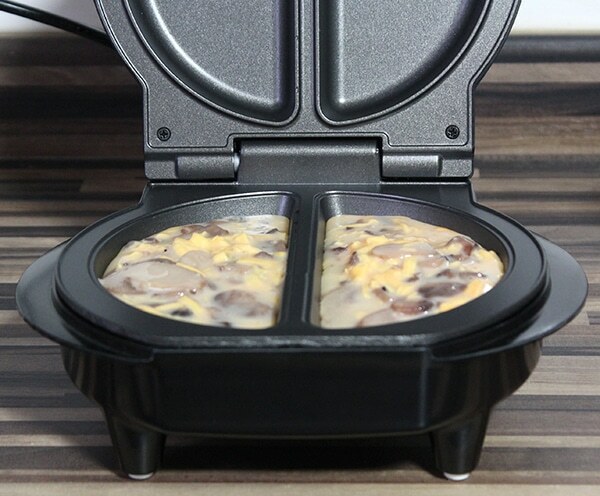 It’s so quick and easy to use and because you just leave the omelette to cook, you can go off and do something else for a few minutes. It’s pretty compact so it happily sits on one of our work surfaces without taking up too much room! 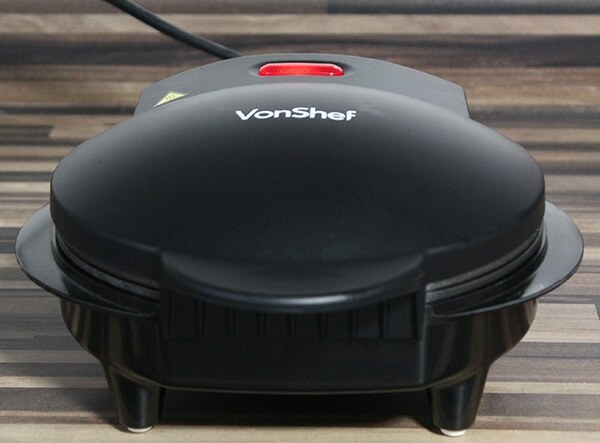 It also doubles up as an egg-frier and scrambled egg maker!! 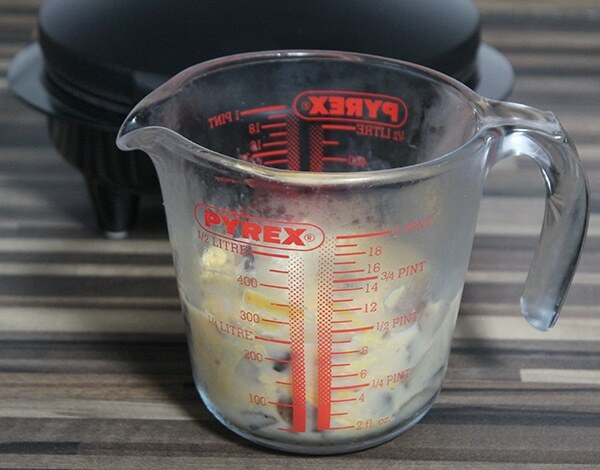 Whilst it says that it makes two omelettes at once, using the recipe I did, it seems like it only actually cooks one omelette (in two halves) at once. This means if you’re cooking for more than one person, you either have cooked omelettes getting cold while you make more, or everyone else gets to eat theirs first while you’re still cooking. The plates aren’t removable. That being said, it’s so easy to clean that I’m not sure it really makes a difference whether they’re removable or not! 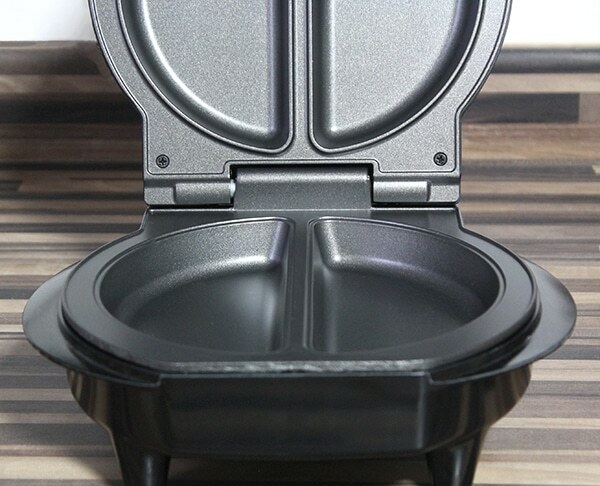 *The omelette maker was kindly sent to me by Domu Brands but review and love of gadgets and food are all my own. 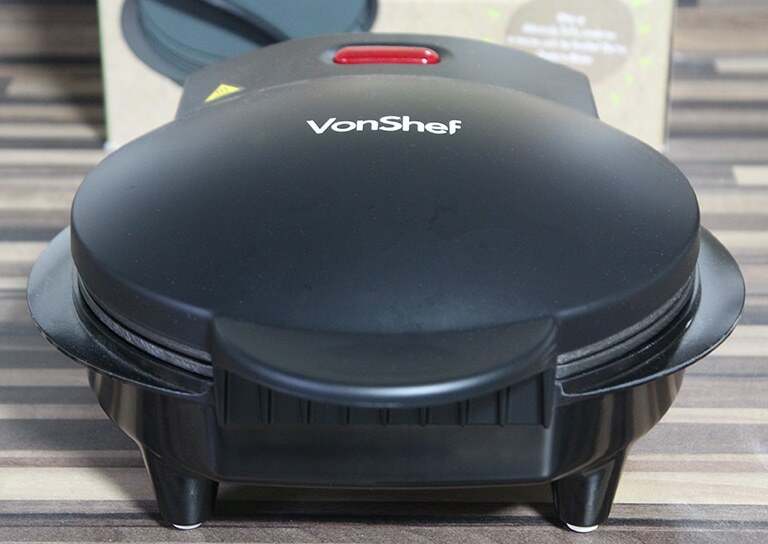 Never used an omelette maker but I am thinking of getting an air fryer and a sandwich maker for those all important weekend paninis. We love kitchen gadgets – they’re the only way to get C into the kitchen to help cook! 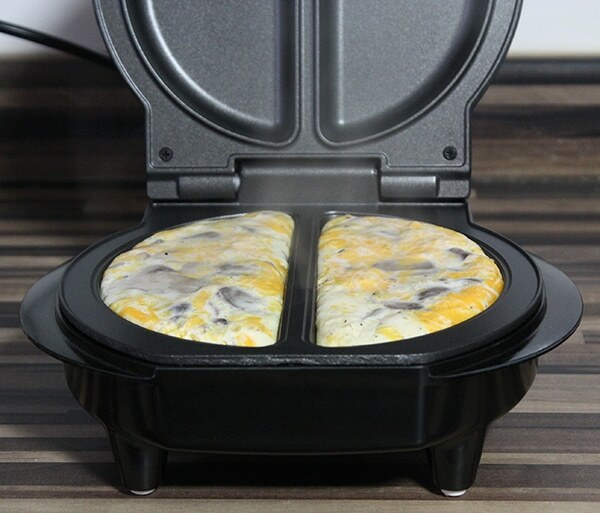 Hey, Holly, thanks for sharing your experience with an omelette maker, it looks like a very helpful gadget 🙂 I have recently invested in an air fryer – the best decision ever, you know what I mean! !